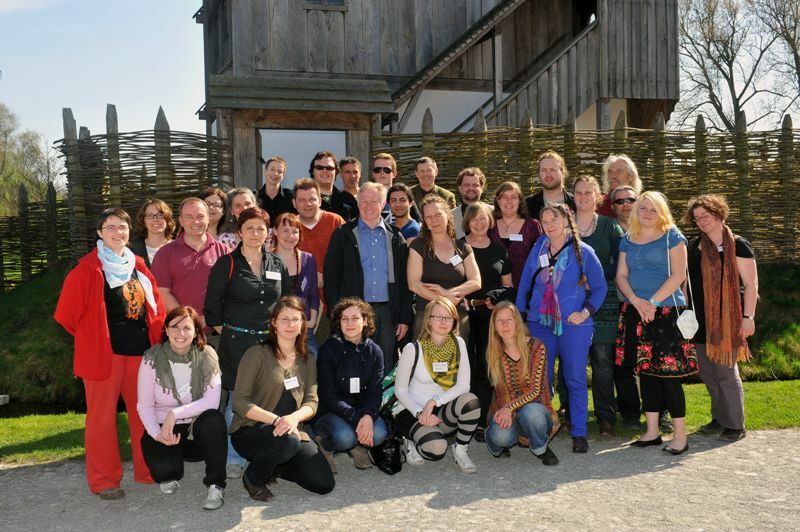 The third workshop of Didarchtik was 7-10 April 2011 at the Bachritterburg Kanzach (Germany). It took place under a very good constellation. 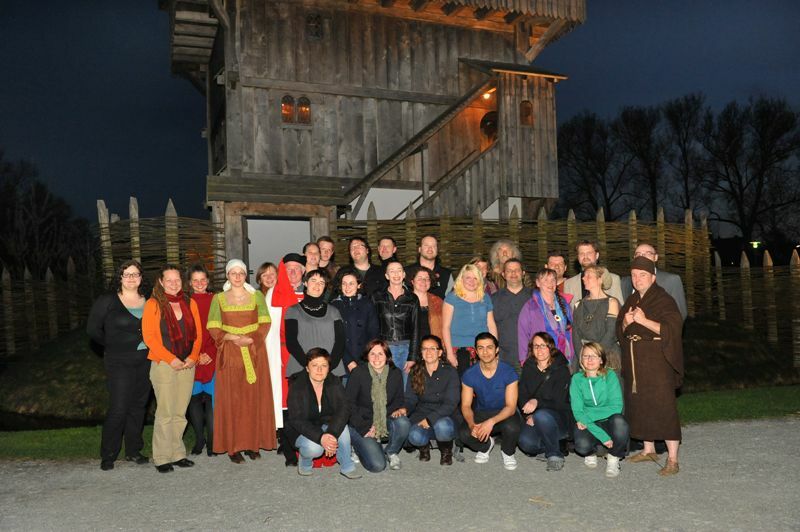 Compliments to the organisers, speakers, the living history groups and the 20+ participants from 4 countries. The theme was ‘living history’. The setting was a (re)constructed castle tower from the early 14th century. With all official necessities and formalities, the participants were welcomed on Thursday evening by Rudolf Obert, director and the mayor of Kanzach, Mr. Hölz. Friday morning started with a presentation by Eugene Bakker (VAEE, NL) by the title: “what is living history?” – about the different types of live interpretation. In the following lecture, Annemarie Pothaar (VAEE, NL) described how adults learn and what is the difference between education and learning. In the third paper, read by Werner Schiefer, it was explained how the Bachritterburg Kanzach deploys living history as educational tool. Suzanne Wiermann (Bachritterburg Kanzach, DE) than tried to answer the question to whether living history is more than plain entertainment and – what do we actually remember after an event? The conference day was closed with a guided tour through the prehistoric archaeological open-air museum in the nearby Federseemuseum in Bad Buchau. Saturday we started again with a presentation by Annemarie Pothaar about the theoretic backgrounds of living history as tool for museums. She discussed among others why it works and how learning actually happens with people. This lecture was followed up by a workshop on criteria and standards. The last paper was given by Sara Fruchtmann (DE) about the Bremer Geschichtenhaus. She explained how in this “House of History / Stories” she described in Bremen staff is reintegrated in society and develop themselves. After a training, they play historic scenes for public. The day ended with a guided tour through the Bachritterburg itself, followed by a ‘Knights' dinner’. It was a very informative get together in good atmosphere, a solid base for the theme of the Didarchtik Project. Before one can start to teach adults something, one first needs to understand how adults learn. Besides that, it was interesting to hear how different European archaeological open-air museums handle the thing called ‘live interpretation’. For the definitions Annemarie and Eugene shared, check: www.imtal.org and www.imtal-europe.com/resources.php . We might consider adding a few to our glossary if we refer to the source.